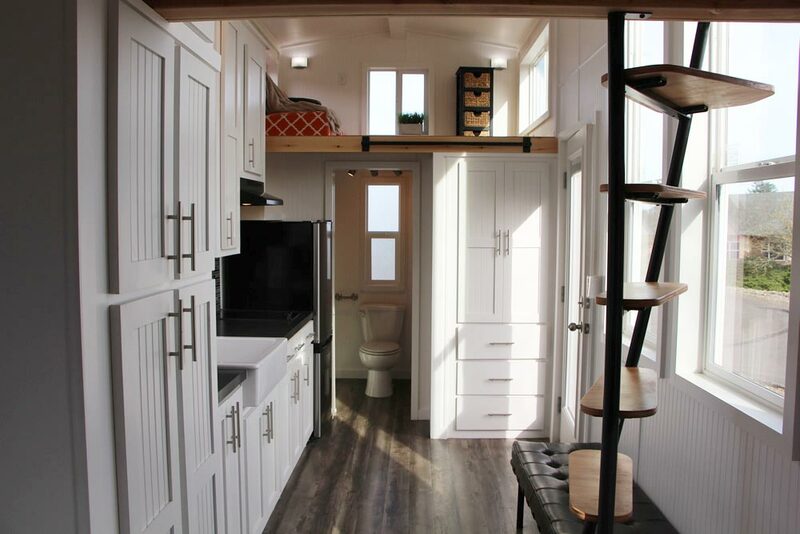 The 25′ Castle Peak was built by Sacramento, California-based Tiny Mountain Houses. 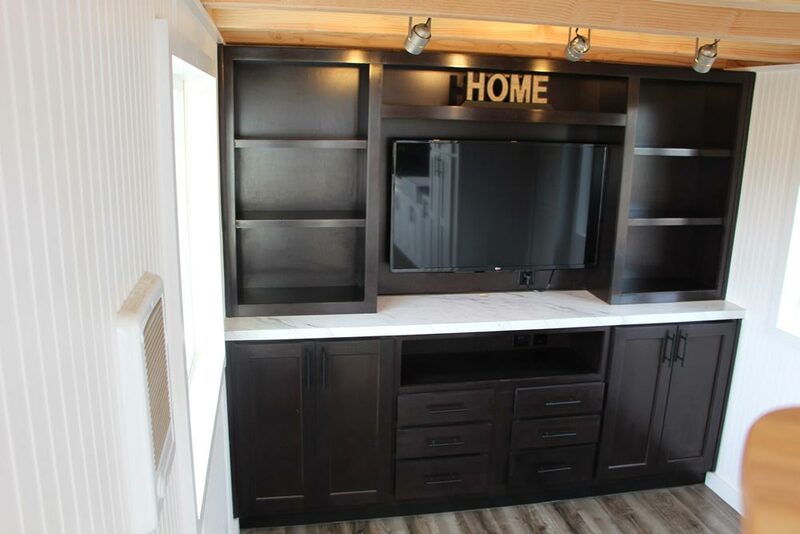 The large den features a full wall built-in entertainment center, providing a great spot for movie night. 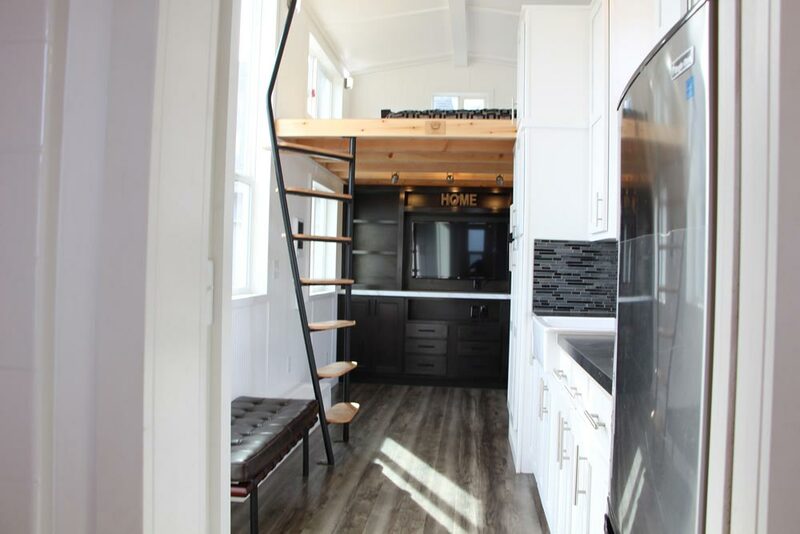 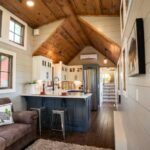 Inside, Tiny Mountain Houses used white beadboard walls and ceilings with pine tongue-and-groove flooring in the lofts. 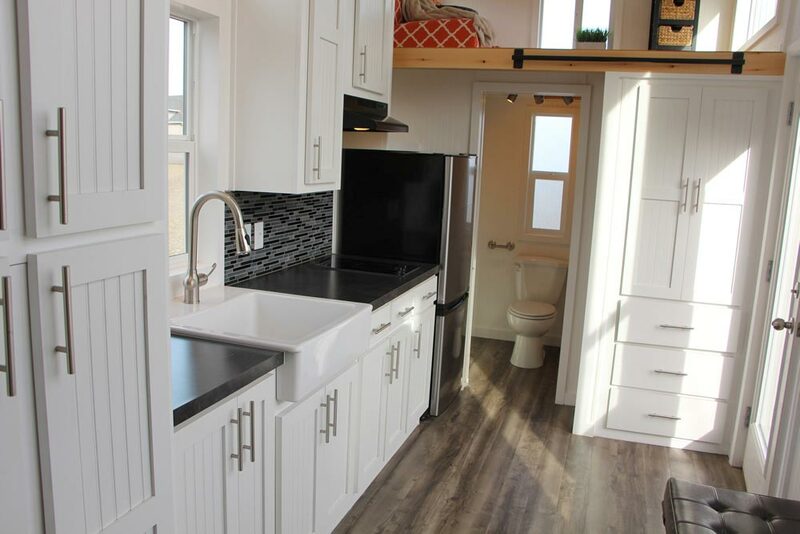 The kitchen has full height pantries, upper cabinets, a two burner electric glass cooktop, apron sink, and apartment size refrigerator. 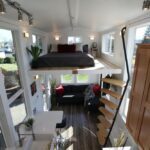 A custom wood and metal sweeping ladder leads up to one sleeping loft and a wooden ladder leads up to the second loft. 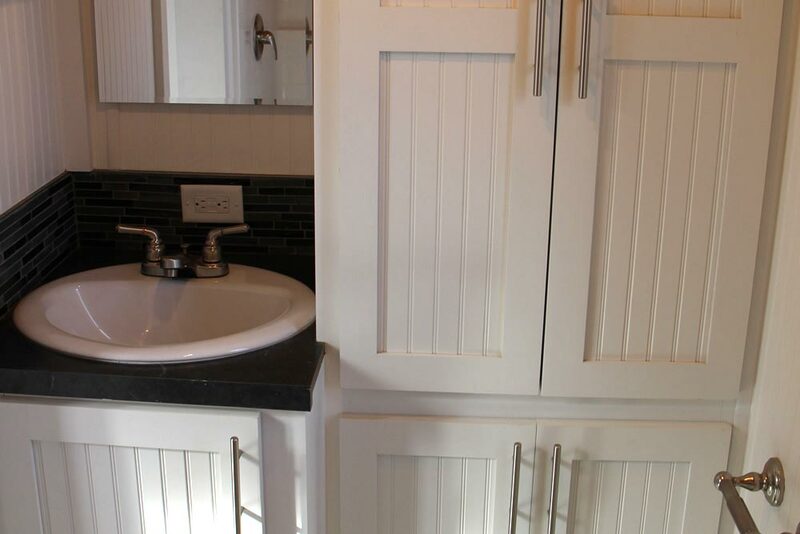 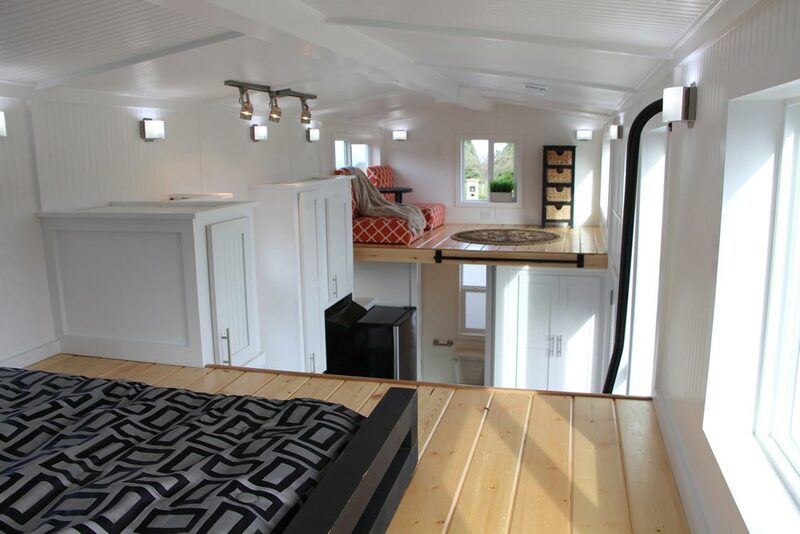 In the bathroom is a flush toilet, 48″ fiberglass shower, vanity, and linen closet. 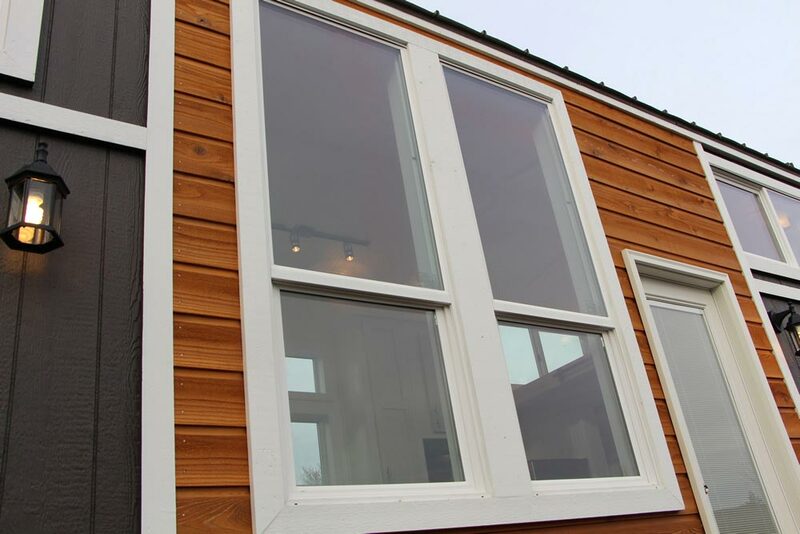 The exterior blends dark gray LP Smart Panel siding with a cedar accent and white trim. 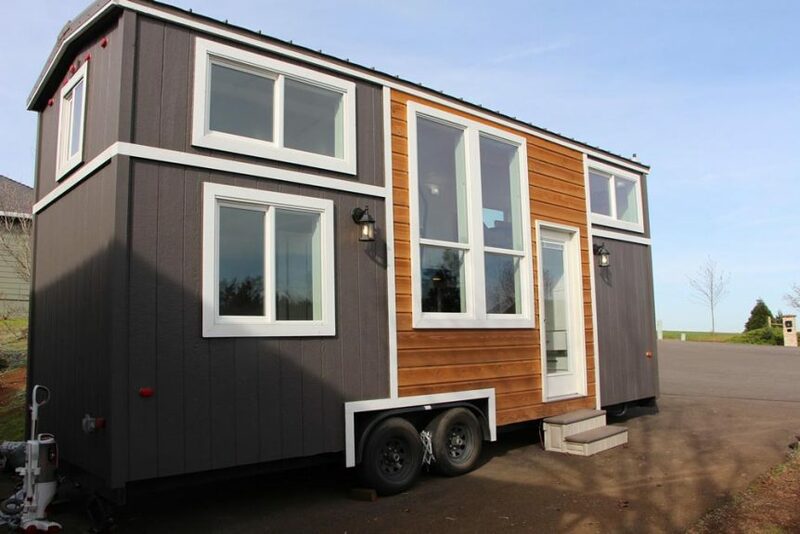 The base price for the Castle Peak is $58,495 and as shown is $77,600. 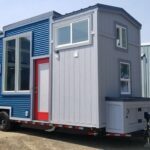 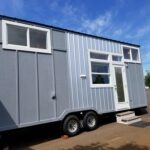 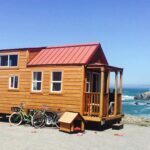 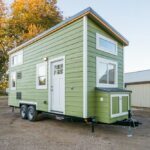 You can contact Tiny Mountain Houses for more details.